First of all, thank you very much for accepting this interview, Tanin. Can you give me a quick introduction of you? Hi Eva, thank you so much for inviting me for this conversation and for your interest in my film. Well, I was born in Tehran, Iran in 1992. I did my BA in sociology back there and did the MA in contemporary dance in University of Limerick last year in Ireland. 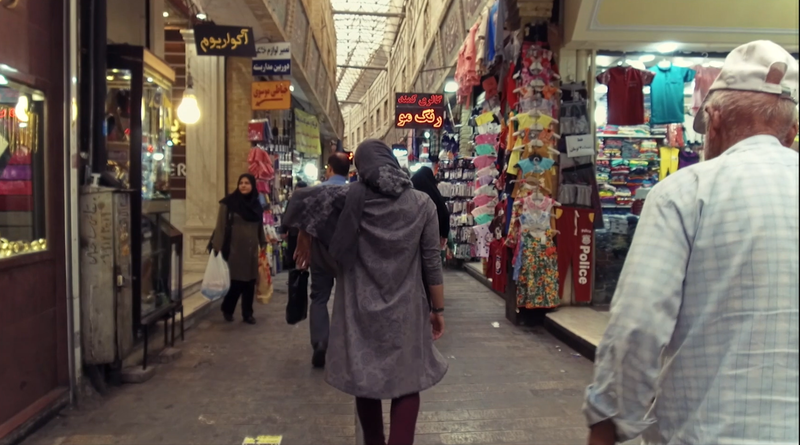 I was shocked when I watched your film THE DÉRIVE and, especially, when I read the situation you filmed it: in a market in Tehran, Iran, where dance is forbidden. What was your dilemmas in the process of making your film? For the process, we kept going to the location and scouting it for almost a month, it was for both of us to know the place and kind of people who pass through that market, shopkeepers and also discuss the idea. I also needed that to be more relaxed while moving through people. We had only three full runs which in one of them the camera wasn’t even recording! So quite a few times! The other matter was that what camera should we use? We finally decided to use an Osmo+ camera because it was more fluid, and Milad, my cinematographer did an amazing job moving through people without bumping into anyone. But the drawback of Osmo was that it was attracting more attention because of it’s weird shape! So there was many choices to be made and a comprehensive understanding of the place and people was essential for both of us. 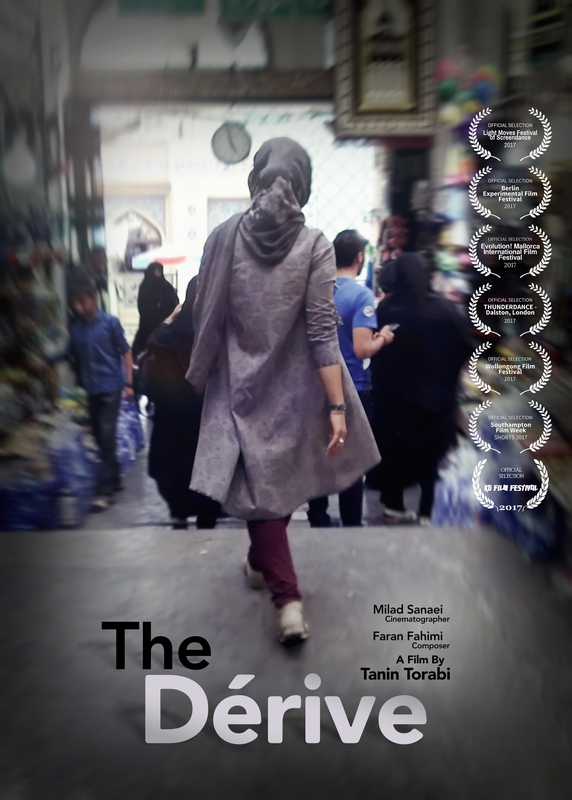 I actually do consider the camera as a dance element in this film, Milad was definitely dancing and making very clear and conscious choices in the moment and he was very present in his movement. The good thing was that we were only two of us! We didn’t need to get along with a big crew! What did people around you say about this idea? Well, I didn’t talk about it a lot before doing it. But of course not many people was supportive of the idea considering the consequences. I was however determined to do this. The chosen movements are however, very conservative and I didn’t want to make a big deal out of it to fall in trouble later. After all, the film is not about dancing in Iran! It has so much more layers and philosophies about the relationship of individuals and society that can be of course more oriented around them. Directly speaking about screendance, what is screendance for you? I think a film can be considered a dance film, if there is flow and movement in it. Whether it is a human dancing or a piece of paper! The interesting thing about film medium is that it gives you extra tools for choreography. You can choreograph and shoot a piece and then re-choreograph it with editing and make a whole new thing out of it which is fascinating. Thank you very much again for answering the questions! I hope to see more works from you! Thanks very much for having me and all the best for you too.